This section is devoted to all of those parts of a house that are necessary to make it functional. Most of the products referenced here are either of natural composition, or they in some way might be considered "green". 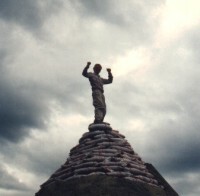 The images shown below relate to the topic, either as media or other products. If you click on one of the images you will be taken to a page at Amazon where you can find out more about them. If you end up buying something, greenhomebuilding.com will receive a small commission that will help cover the cost of maintaining this website. Thanks for your patronage. Abundant Earth features a wide variety of products selected to enhance green lifestyles, including air & water filters, beds & bedding, cleaning supplies, health & wellness products, home furnishings, kitchen & bath supplies, lawn & garden products and recycled items. built-e.com another "eco-store" with a variety of building and household supplies. ecomall.com this directory with links to green products claims to be the "earth's largest evironmental shopping center." naturalhomeproducts.com sells carpet, cork, hardwood, natural finishes, etc. greenbuildingsupply.com sells appliances, wool carpeting, bamboo and wood accessories, non-toxic finishes and cleaners, and natural flooring products. greenpages.org Co-op America's directory of over 2,000 business that provide "green" products for the home. 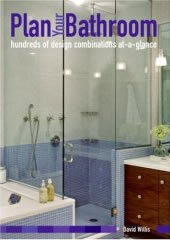 environproducts.com Sells an assortment of green building materials and household products. 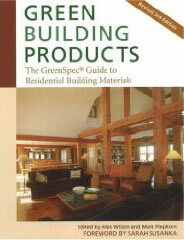 greendepot.com Green building materials outlet with several locations across the US..
For a list of books about using natural materials in your home, see this page. naturallighting.com sells full spectrum compact flourescent lights. brodwax.com offers a complete range of energy effcient LED, Fluorescent, Halogen & Xenon Lighting. eco.ph manufactures the "sky tunnel" light tube. basins.com Designers and manufacturers of fine ceramic basins and faucets. AppliancePartsPros.com carries thousands of parts for all sorts of appliannces and features part photos, diagrams, and live help.